This is the second mod my son and I are working on together, the first mod we did together was a Camaro themed build and was 100% my sons concepts. This time its my turn to choose the theme so what better than my favourite film Bladerunner. I have been watching all the news and hype surrounding the sequel to the film and am now very excited to see how the plot possibilities pan out. I have been in and out of hospital receiving treatment for the last months which has rekindled my love for modding as less mobile. While in the hospital for a week bored out of my mind I taught myself how to make the origami unicorn from Bladerunner. That was when I started thinking about a concept for a build. Normally you might think a Bladerunner theme would be jet black with red accents with perhaps a grungy dark distopion feel to match the atmosphere of the first film. I suppose I just liked the metallics of the unicorn and decided to go with a more cleaner metallic feel more inline with the new film and with the origami. There are no sponsors for the build sadly so have managed to scrounge about for parts in the garage and buy in what I could to get the ingrediants for mix. 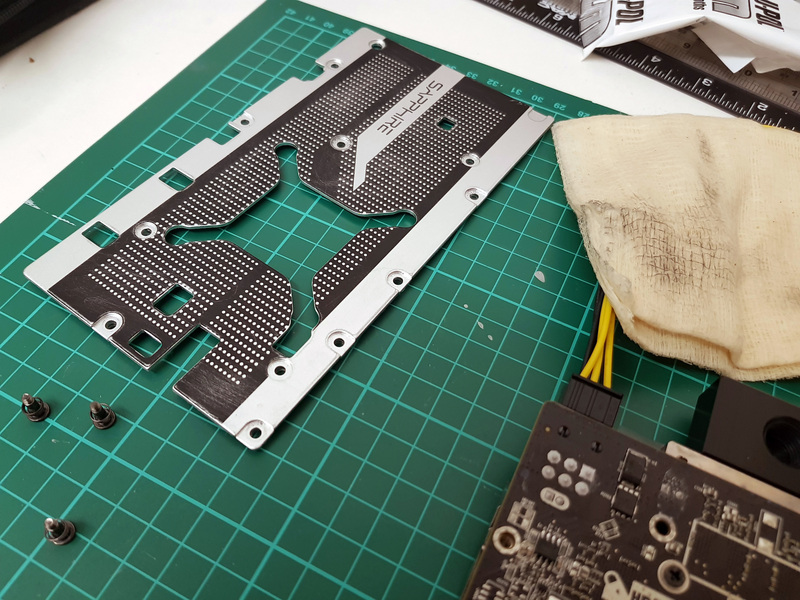 Using a Thermaltake Core V21 as the case and I think nearly all the main manufactures of watercooling parts for the cooling a real colab affair! I really do love the Thermaltake Core v21 as it is such a dynamic case with its swap-able modular sides and front leaving lots of variation options for the enthusiast and designed for a matx system. The other driver for this build is showing your respect to your elders, my son took a lot of inspiration from Jp Modifieds work on his design, so we talked about who did I look up to in the modding world? I still think today my favourite casemod is still Orac 3. Its the case that got me into modding and blew my mind as to what was possible. Back then it was all flashing fans (back in fashion) and what you could do with a beige case. Last edited by dmodz; 07-23-2017 at 05:37 PM. Did the cable sleeving today so short vlog update, pics to follow. Was tempted to make a start on the case today but my son and I do the modding together and it would not be fair while hes away so minor task instead. Took apart the ram sticks and gave the heatspreaders a good scuff and tack to give the primer coat some grip. Two coats of primer then a wait for 6 hours and two coats of Chrome. Last edited by dmodz; 07-15-2017 at 03:12 PM. Second trailer for the New Blade Runner was out today cannot wait! Inspired me to get on so did the chroming of the rad. It had had 3 coats of self etching primer the day before and two coats of chrome today. Just the Fans to take apart and chrome next and that is one job off the list. Dylan stripped down the Corsair AF120's and prepped them for painting. I made him watch Bill Owens tutorial vid on the 120's on youtube first, what a great vid simple and accurate so good a 10 year old could do it Dylan then gave the fans 3 coats of primer. Now waiting for the primer to harden before two coats of chrome and 2 coats of clear coat. Last edited by dmodz; 07-20-2017 at 08:17 AM. Important lessons learned today (always a school day modding) Dont use clear coat on top of a chrome effect. As you can see the rad does not have a clear coat sprayed on and looks much more chrome the fans on the other hand had 3 coats of primer two of chrome. We then added one clear coat on top and as you can see it has dulled it to a flat silver at best. The clear coat does create a nice gloss but not the desired effect for this mod. Back to sanding and starting again..
Last edited by dmodz; 07-22-2017 at 09:55 AM. After a LOT of trials getting the chrome look as close as possible I think we are getting there. Alphacool rad with 2 X AF120's. Really hard work getting chrome to look okay out of a can, a warning to anyone trying it do not use a clear coat on top or it will dull the finish badly. 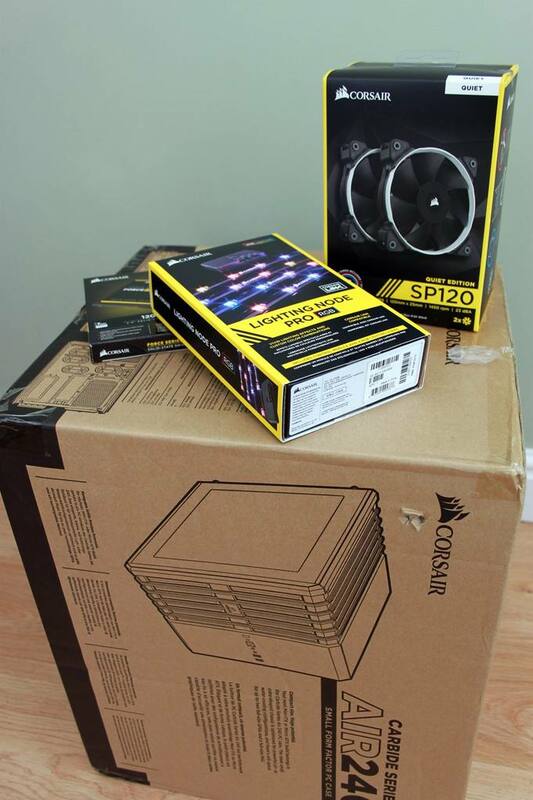 Well its been a while since we had any updates, Corsair got in touch after seeing the build log and took pity on us We have been waiting on these parts arriving before we could make any real progress on the build. The case we are now using is the Air240 which will be fun to use as its a case we have not had in our hands before. The only fun part will be proving enough airflow into the case as normally the air240 utilises the side panels for fans and we intend to make both sides into windows as well as the roof. The rear of the air240 has minimal space being such a small case for fans but hopefully we can source a solution. Last edited by dmodz; 08-27-2017 at 06:42 AM. Friday night mod for the boy after his first week back at school. 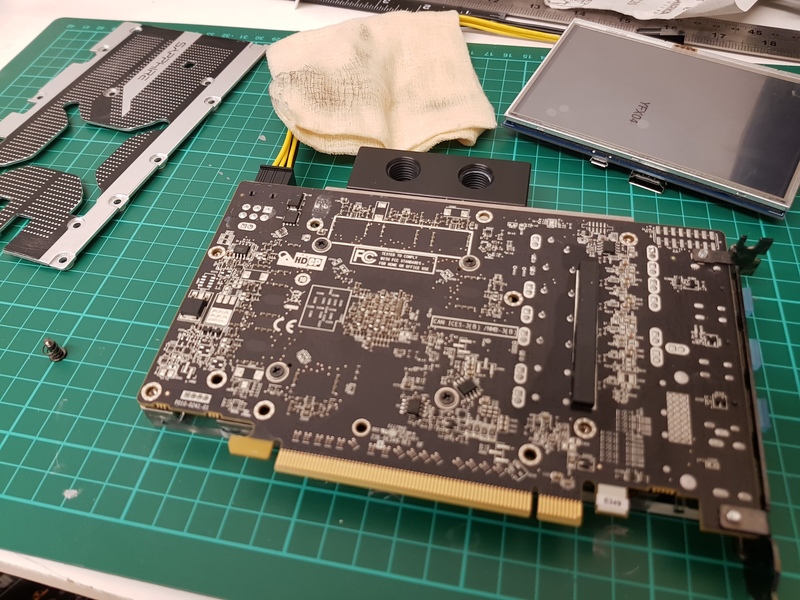 Did the LCD backplate for the GPU on the current mod, should look quite slick when running. 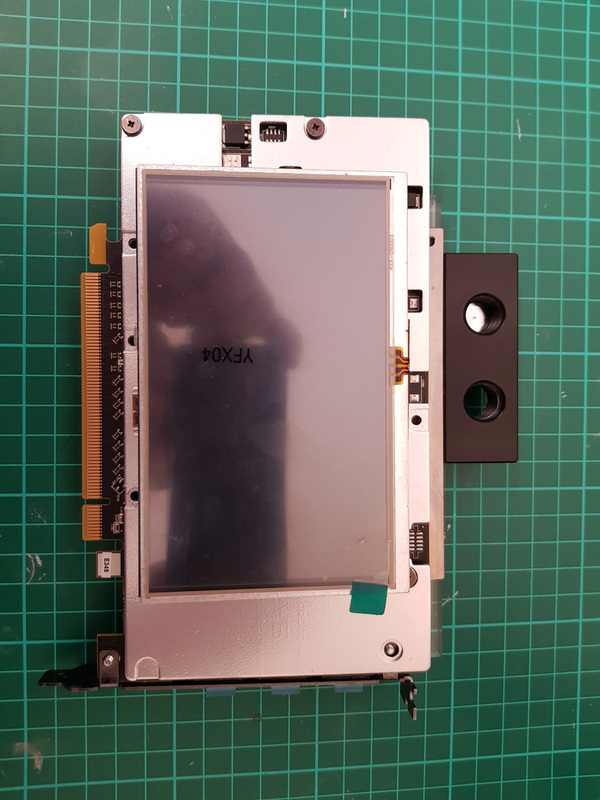 Did a chrome finish on the existing Saphire Backplate then set in the LCD its a 800x480 so displays a nice image for its small 5" size. This should display the "in film adverts in Blade Runner well for the mod, as well as CAM etc when the pc is actually in use.